The infringements were in relation to five vessels not displaying country flags and one vessel with a fish species that was not in accordance with its licence. These infringements have been reported to member countries for further investigation. The twelve-day annual operation to detect, deter, report and/or apprehend potential illegal, unregulated or unreported (IUU) fishing activity and vessels, involved several FFA member nations- Federated States of Micronesia (FSM), Kiribati, Nauru, Palau, PNG, Republic of Marshall Islands, Solomon Islands, Tuvalu, and Vanuatu, and the Quadrilateral Defence Coordination Group (QUADs) – Australia, New Zealand, France and the United States. Covering more than 14.1 million square kilometres of ocean and taking approximately 90 days at sea as well as 125 hours of air time, Operation Rai Balang (OPRB19) involved patrol boats from FSM, Kiribati, Papua New Guinea, Marshall Islands and Vanuatu as well as aircraft and naval patrol vessels from the QUAD partners. The operation also included both of the FFA King Air aircraft from the Pacific Maritime Security Aerial Surveillance programme operated by FFA. 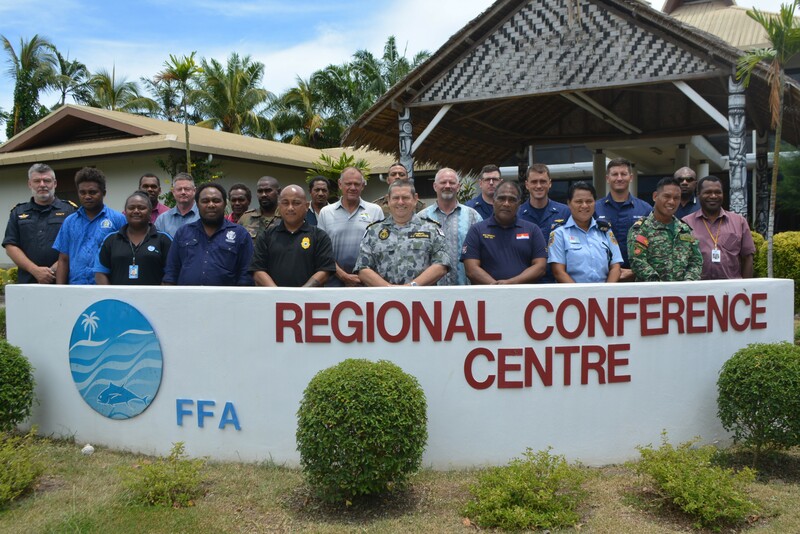 “It is this level of cooperation, commitment and engagement by our Members and QUAD partners that help us safeguard the Pacific fishery from Illegal, Unregulated and Unreported (IUU) activity" said FFA Director General, Dr. Manu Tupou-Roosen. “Cooperation is key to combatting IUU fishing in this region. It is the way of the Pacific and will ensure a successful, secure, safe and prosperous region for our people,” she said. Regional surveillance operations such as Operation Rai Balang can involve over one hundred personnel from across the region, with joint coordination led by the FFA’s Regional Fisheries and Surveillance Centre (RFSC) team. Fisheries Officers, Officers from Police Maritime Units, and the Navy of FFA members participated as watch-keepers joining the RFSC team for extended shifts during the Operation. They are tasked with monitoring and analysing all incoming regional surveillance data from the QUAD surveillance providers, members’ own assets and the FFA aircraft.